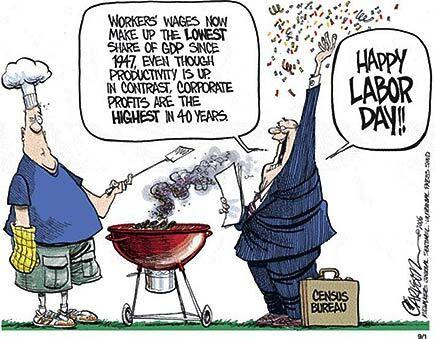 Every September 1st, the United States takes a day off for Labor Day. Established in 1886 by President Grover Cleveland, Labor Day exists to commemorate the achievements and contributions of labor to the United States. 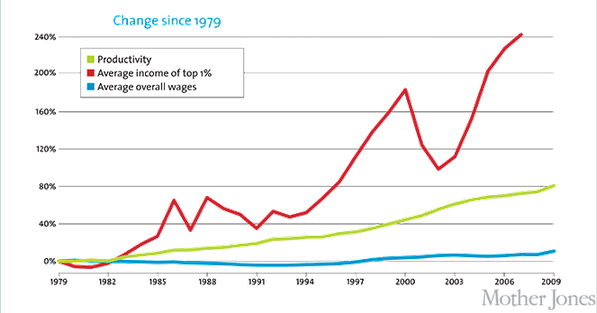 The labor movement has done amazing things in the United States over the decades. Because of their efforts, workers now have a five day work week, mandatory sick leave, a minimum wage, workplace safety regulations, overtime, protections against child labor and all of the other things that contribute to the welfare of American workers. In addition to protecting workers, American labor has created immense wealth and has turned the United States into the most wealth nation on the planet. Unfortunately, labor in the United States has been in decline for the last few decades, and we have begun to lag behind the rest of the world—rich bosses and investors are reaping record profits from the labor of their workers, while demanding that their workers do more work for less pay. Gaping holes exist in our worker protections laws and we have fallen behind many other western industrial nations in terms of benefits. The federal minimum wage is currently $7.25/hr and, while many on the left are pushing to increase it to $10.10 or higher, the right wing has enough representation to block these increases. When compared to the real buying power of the minimum wages of the past, the current minimum wage is actually worth less than it has been. 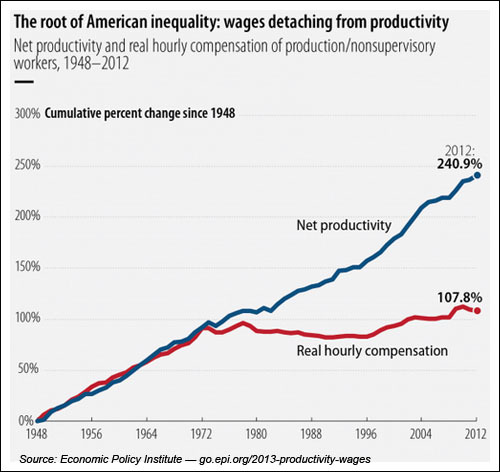 It isn’t only the minimum wage which is stagnating—the real average compensation for the average American worker has remained virtually unchanged since the 1970s, despite the fact that workers have become far more productive. The gap between productivity and worker compensation represents the money that is taken by executives and shareholders in increased compensation and dividends. This separation between compensation and productivity has created an immense disparity in income, where the wealthy executives reap disproportionate gains from the work of their employees. In addition to lagging monetary compensation, American labor is facing a massive deficit in terms of non-monetary compensation. 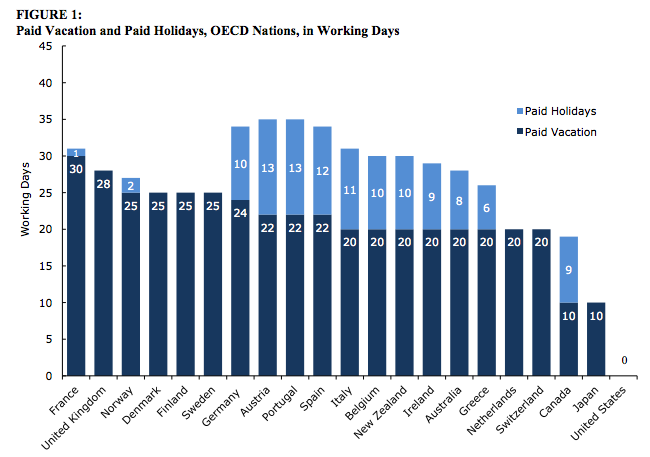 The United States is the only western developed nation not to have mandatory paid vacation as part of employment and one of the tiny minority of rich nations not to have mandatory maternity leave (never mind paternity leave). Despite stagnant compensation, Americans tend to work more than people of other nations. The average American worker works 47 hours a week, many of whom are forced to work multiple jobs to stay above water. Given the stagnant compensation and long hours that they are facing, it is unsurprising that polls have shown that 70% of American workers hate or are disinterested in their job. The terrible plights facing the American worker are partially due to outsourcing and automation (many jobs simply disappear due to machines), but a large part of the problem is that American labor has been besieged over the past few decades by the right wing, backed up by big business. 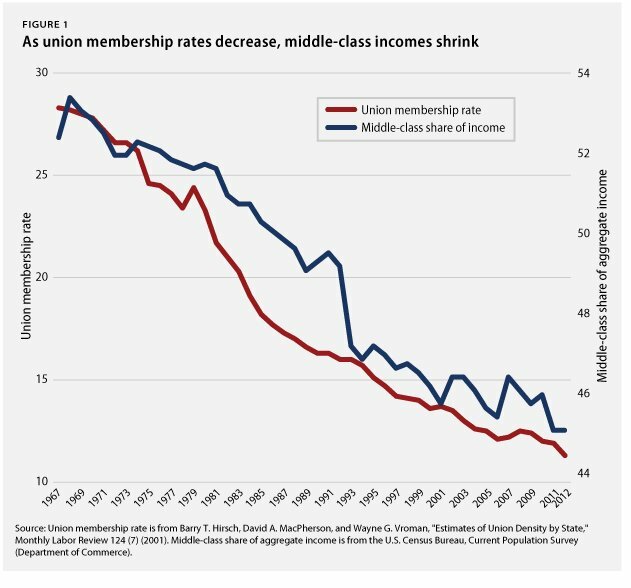 Unions currently have lower memberships than they had in the past, reducing their ability to fight on behalf of their workers—without these unions, the average worker has been vulnerable to exploitation. In short, while it is good to take a day off to recognize the successes of labor, we must not assume that the fight is over and that workers are protected. We, as a nation, are falling dramatically behind the rest of the developed world in terms of worker compensation and protection, and something must be done. The American people must reject “right to work [for less]” legislation, demand minimum wage increases and mandatory paid vacation time, and boycott businesses that exploit their workers (ex. Walmart)—shop local and at places that treat their employees with respect and pay them enough to survive. Re-posted to my miserable excuse for a Representative’s page, who has taken ill with the 2% fever.